So if you are considering entering the world of cryptocurrencies, grab your copy now. 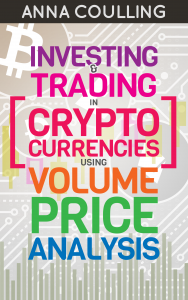 Investing & Trading in Cryptocurrencies Using Volume Price Analysis. Here you will find out what they are, and perhaps what they are not. And just as important, where the opportunities are to be found, and how to take advantage.